The Arabic word hijab, understood as a covering on a woman’s head or often used to describe the headscarf worn by Muslim women. The hijab or headscarf is one of the most noticeable and misunderstood badges of Muslim women. For some it may mean pairing a headscarf with Western-style clothes and for others it means wearing loose clothing. There’s much more to the Islamic dress code for women than merely the covering of the hair. The term “ hijab” encompasses much more than an article of clothing. The hijab in essence refers to one’s behaviour that includes modest dressing. It’s a total package that deals with dress, speech, behaviour, attitude, piety, chastity, virtue, goodness, character and spirituality. It’s a symbol of modesty and dignity. Hijab isn’t something one wears; it is how one is. In actual fact, you don’t ‘wear’ Hijab, you ‘observe’ Hijab. A person’s hijab is one’s modesty in its entirety. It is an Islamic code of conduct, respect for oneself and for each other. “Hijab” is an integral part of the Islamic faith as a movement away from just appearance, as it opens the doors that lead to understanding, intelligent and sophisticated dialogue and eventually acceptance. It is said that deprived of its spirituality, intent, and divine service, the headscarf is nothing more than a piece of clothing on one’s head. Covering the head and modest dress has always been a part of a cultured, ethical and religious society. Islam endorsed the head covering and modest dress. Hijab has been the topic of longstanding debates in both the western and the mainstream Islamic discourses alike. However, how productive are these arguments if the focal point is consistently the outwardly appearance of hijab? By focusing merely on a faith’s visual aspect, we exclude much of the significance and spirituality that component contains. In a way, we appropriate the visual aspects of a faith to suit our arguments and comprehension of the world. Much like how a millennial might appropriate the visual aspects of Hinduism by wearing a ‘bindi’, many debate hijab without ever studying or realizing the meaning of what it is that they see, and how much of it cannot be seen. 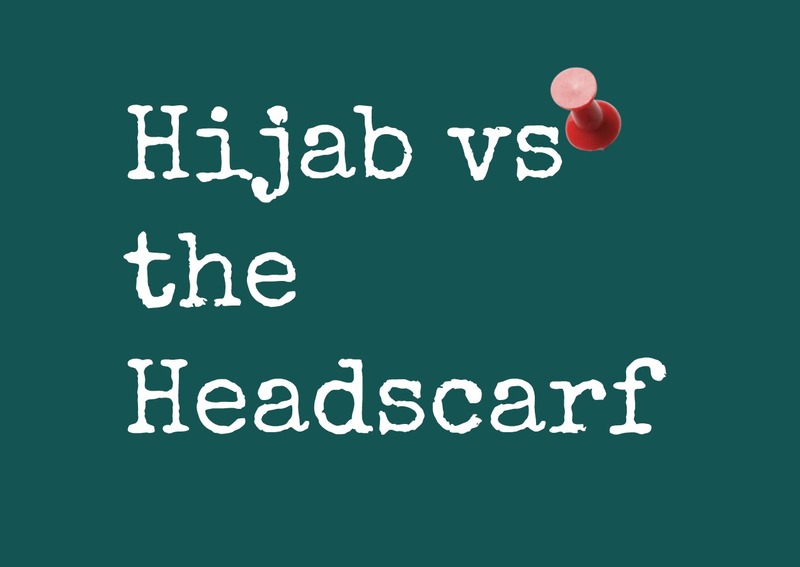 In the contexts of these arguments, hijab has been reduced to only one of its visual elements, which is commonly understood as a scarf upon a woman’s head. Even in many Muslim societies, “hijab” is used colloquially to describe a head-cover. Hijab isn’t something one wears; it is how one is. A person’s hijab is one’s modesty in its entirety. It is an Islamic code of conduct, respect for oneself and for one another. When an integral part of the Islamic faith is reduced to only its appearance, it shuts the doors that lead to understanding, sophisticated dialogue, and — eventually – sincere acceptance. Far too often, one will observe a woman, raise their eyes to the scarf wrapped around her head and neck, and assume that ‘she is in Hijab’. Unfortunately, many Muslims, and especially women who identify as “hijabi,” fuel these shallow-minded debates on the necessity and importance of hijab and the headscarf. By neglecting to open the discussion to the broader elements of hijab and Islamic practices, too many of the responses made by the Muslim community have given an equally narrow view of the hijab, and miss the point of providing a counterargument. Muslim fashion blogs often seem to perpetuate the reliance on a graphic, material identity to those unfamiliar with Islamic theology and tradition. Other Muslim women promote their headscarves as a political statement. Others frame their whole identities around the piece of fabric. By attributing our political views, personalities, and what otherwise may be construed as flaws or ultra-subjective qualities to the headscarf as a means of seeking validation, we fail to increase awareness of the greater meaning of hijab, and subjugate participants of hijab to more scrutiny by association. Furthermore, defining hijab as only a headscarf alienates Muslim women who follow other modest practices outlined in hijab. Compromising hijab to conform to western ideals often leads to the general belief that other modest practices in Islam are unessential – societal ailments – and are then looked upon negatively by Muslims and non-Muslims alike. By supporting the idea that the headscarf is the single facet of hijab, one actively disenfranchises Muslim men and women who are critical about their lifestyles and aim to live by the standards of modesty as outlined by the Qur’an and the ways of the Prophet, pbuh. While one’s way of participating in hijab and wearing the headscarf are completely subjective and unique to that person, these anecdotal experiences should not be used to describe the genesis of hijab in Islamic tradition, or why it continues to be so important to the faith. This poor understanding and miscommunication of hijab makes it easier to justify discriminating against or banning the headscarf in some areas of the world. Deprived of its spirituality, intent, and divine service, the headscarf is nothing more than gilded piece of cloth on someone’s head. Without these crucial elements, the headscarf becomes inconsequential — a target for removal. As long as hijab is debated and derided on the basis of its immediate visual traits without understanding or explanation, then those who engage in these shallow discussions on TV, Media & Seminars, actually denigrate the meaning of the Muslim woman’s appearance, disregard her intentions, and shut down the possibility of constructive conversations. When people or the governments talk about removing Hijab from the society, tell them that “as a Muslim, Hijab is not what we wear, but it is who we are” – “you can be successful in removing a piece of cloth from our attire by legislation, but you will never be able to remove our god given right to modesty and dignity, which in fact is our actual Hijab – and a piece of head & chest covering is definitely a part of it”. Karbala stands as a living testimony to this fact.